While checking the website of the American First Day Cover Society (AFDCS), of which I am a member, I discovered an amazing digital product. 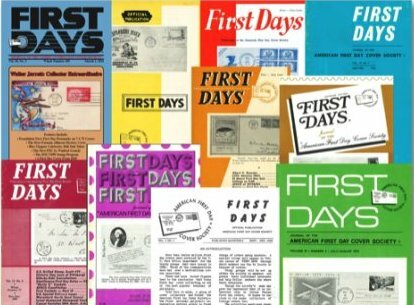 It is the digitized archive of First Days, the journal of the AFDCS, from its inception in 1955 through 2011. It includes 395 issues of the journal which constitutes almost 35,000 pages. The archive is available on a DVD ($79) or a USB drive ($89) postpaid. The archive is formatted in the searchable PDF format. What is really amazing about this product is that it is the result of the effort of a single individual, Todd Ronnei who is Chairman of the AFDCS Board of Directors. Todd tells of how he went about digitizing First Days in an online article on the website. For anyone contemplating a digitization project, this is an excellent primer. A key to the success of the project was Todd’s access to a sophisticated scanner at his place of work, the Canon ImageRunner Advance 6055. Todd used some real ingenuity to deal with some of the challenges of the project. For philatelic libraries and serious first day cover collectors, this is a wonderful resource. Mine is on order. Anybody who wants a reference as to the collecting of first day covers needs to get this dvd. Even if you do not collect first day covers, I think this is a must purchase.